Following are some pages that might help you find out about our church, and below that is some information you might like to know to help your visit go smoothly. We'd love to know you're coming. If you'd like to, fill out our contact form so we can have one of our welcomers on the look out for you. Our carpark has spaces for 30 cars, including 2 disabled spaces. Street parking is also available. Our church is 10 minutes walk from Mortdale train station, and the 945 bus from Bankstown to Hurstville goes past our door. See Punchbowl Bus Co for more details. 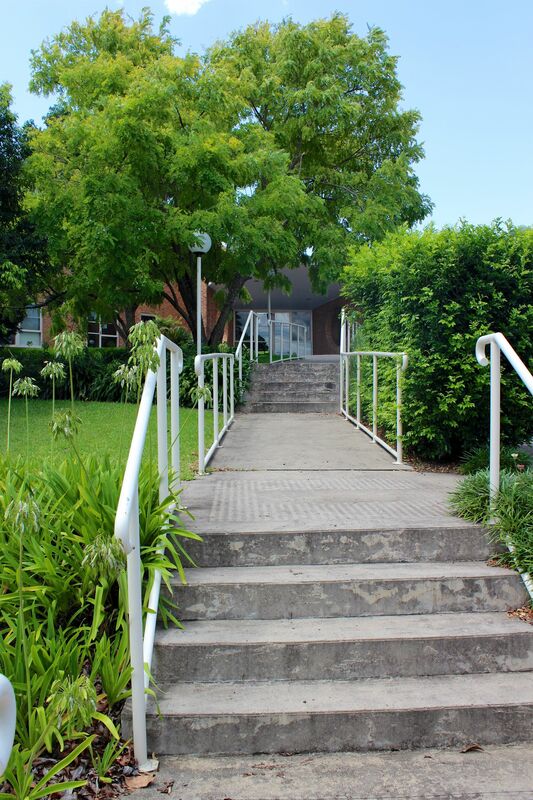 Our Church building is wheelchair accessible throughout and a ramp from street level is located on the left hand side of our property. A Hearing Loop is available on the left hand side as you enter our worship space. Look for the signs on the wall. Our toilets are located down the corridor on the left as you enter the main doors. Our Sunday Services have no dress code. Please come as you are. A Creche room is available for use at all our services, please click here for details.